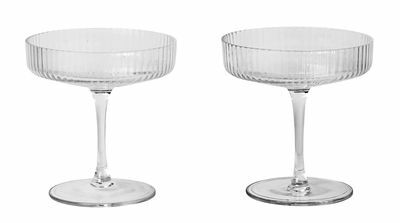 Featuring a beautifully rippled surface the ferm LIVING Ripple Champagne Saucer present a classic glass for sparkling wines. 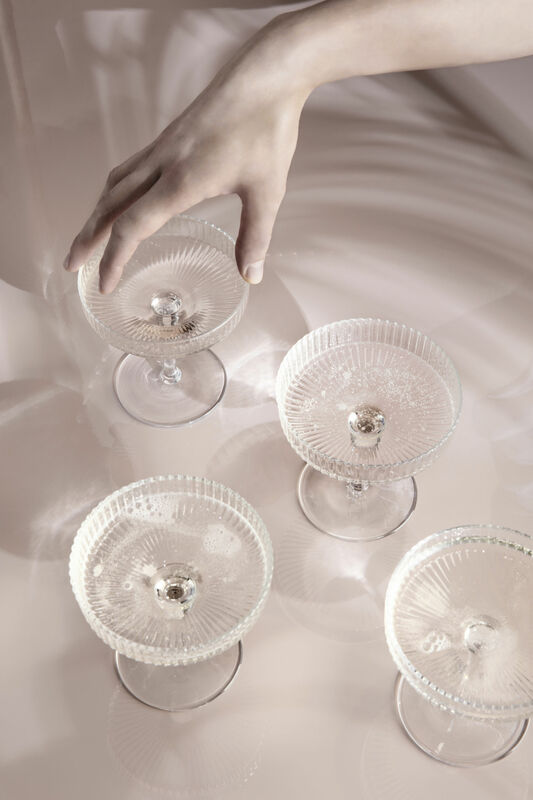 They are made of delicate glass mouth-blown into the mould, adding a dynamic and energetic expression to the glasses. 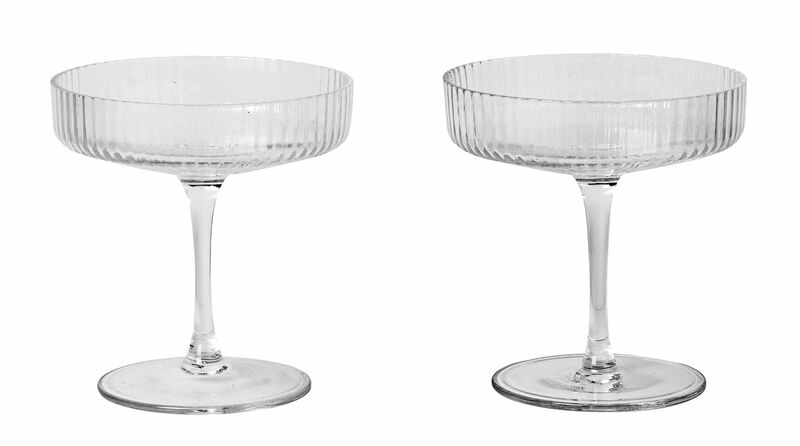 Each one of these glasses is mouth-blown and made with love, why variations may occur.